A welcome reissue, amazingly 20 years after the first edition, of this classic story. Like all classics, this has more to it than first appears. Young Billy tells mum there is a dragon in his room. 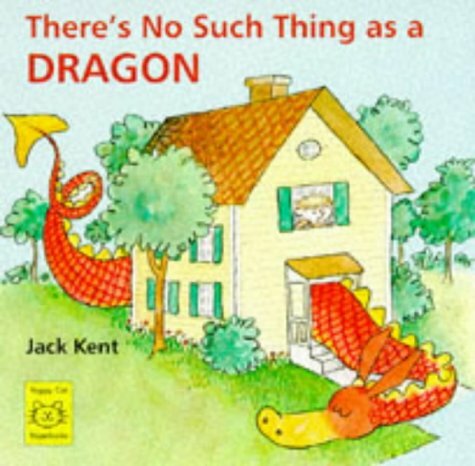 She refuses to believe him and the dragon grows steadily bigger until at last it makes off with the house on its back. Only when its presence is finally acknowledged does it revert to manageable size. Jack Kent's illustrations, rather reminiscent of Peanuts in style and liberally spread around the matter-of-fact text, are a delight and there is so much to think about as well. Is the dragon really there, or does Billy just dream him up? Why does mum ignore him? Why does he grow bigger and bigger? What behaviour management strategy should the Bixbee family have used to deal with him? Reading this again was a real pleasure. I hope to see the immediate return of the same author's splendid retelling of The Fat Cat as well.